"Celebrating Lancaster County's German History"
Rumspringa is a Pennsylvania German term meaning “running around” and generally refers to a period of adolescence for some members of the Amish that begins at the age of 16 and ends either with the youth choosing baptism within the Amish church or instead leaving the community. During this time a minority of young Amish might experiment with dressing “English”, driving motor vehicles and consuming alcohol. 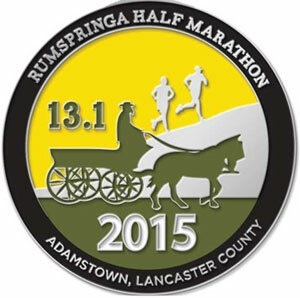 The Rumspringa ½ marathon starts and finishes in Adamstown, PA which is located in Northern Lancaster County just on the edge of Amish country and the midsection of the course will lead you through some Amish farmland. Obviously while running you will be on your best behavior, however the race finishes in next to an award winning micro-brewery, so you will be able to do a little “Rumspringa” after you were “running around” for 13.1 Miles. Please note , we do not have an expo because we want to keep this simple and convenient for the runners. Just show up about 1 hour before the start of the race, park your car for free and pick up your bib, shirt, beer ticked and cuckoo clock raffle ticket. Our focus is to provide a course that is fun and well supported, but also more challenging than the average pancake flat big city race (translation, yes there will be hills). We have awesome German themed Aid stations and the best post race food that you will ever find at a race. To top it off, every runner will receive a free Stoudts beer to rehydrate at the post race party were you will be entertained by live German music. 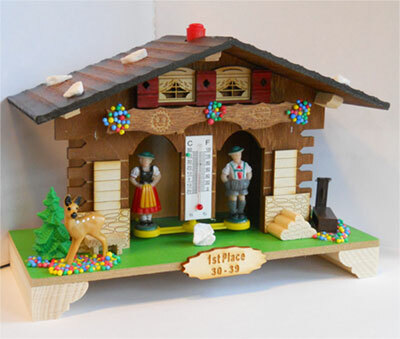 We will raffle of a German cuckoo clock and give out imported handmade German weather houses as agegroup awards. If you think you are not fast enough to win of these awesome awards, dress up in German or Amish attire and you have a shot of winning one of these weather-houses for best dressed runners. This years bling has been designed to match the shirt design. Fun and challenging ½ Marathon on country roads in Lancaster County. Race starts at Stoudtsburg village. Mile 1 -3 is mostly downhill through a development and will guide the runners toward the country side. Mile 3 – 5.5 mostly flat and fast stretch along the Muddy Creek. Mile 5.5 is where the race really starts, plenty of rolling hills coming up. Mile 8.5-10 , you get a little break, mostly flat or downhill. Last 3 miles climb back up to the finish. UES proudly supports the Adamstown Area Library. A portion of your entry fee will go towards the Library, but we would appreciate any additional donations. You may add a donation during the online registration process or add it onto your check if you mail in your app. www.german-cuckoos.com donated a cuckoo clock. There will be a cuckoo clock raffle before the award ceremony (every runner receives 1 free raffle ticket in your race package), but you may purchase extra tickets before the race or before the award ceremony. Ticket sales will also go the the Adamstown Area Library. We also will sell last years tech shirts for a minimum donation of $2 per shirt. We have placed the order for the age group awards. These unique awards come from the Black Forest of Germany. They are german weather houses. They can predict future weather pretty much as reliable as "Glen Hurrican Schwarz" . Here is how they work: There is a gut string inside which reacts to all changes in air humidity. Depending on wether the air is dry or humid, the gut string changes it's position and twists more or less, so that the female turns outside when it is dry (predicting nice weather) and the male, when it is humid. Weather in April can be unpredictable. We have ordered a nice sunny spring day with crisp air. We will run rain or shine, start might be delayed if there is lightening. Race will be chiptimed. You can instantly check your result at the timing kiosk or have it emailed to you as soon as you cross the finish line. We will have 5 Aid Stations on the course. Mile 2.5, 5,7, 9, 11. The Oktoberfest aidstation will feature some Bavarian style carbohydrates. Would you like to upgrade your stay? Stay at this gem of a B&B less than a mile from the start. 2 night minimum (plenty to see in Lancaster County). Mention 1/2 marathon to get the stay one night get 2nd night half of Bogo special. Late checkout at 1PM available. Late checkout and breakfast available. $59.99 for 2 people in a room. For reservation call: 717-336-7563, mention 1/2 marathon to get group rate. Located right next to Black Horse Tavern, simply walk across the lot to this nice little restaurant to carboload the night before. We do not have a prerace pasta party . Instead we recommend one of the listed restaurants below. 2270 N Reading Rd , Denver. This diner has a very extensive menu, including many pasta dishes, you are sure to find something to your liking. 2800 N Reading Rd, Adamstown. This restaurant is part of the Stoudts complex , the location of the postrace party. If you are looking to sample some of their terrific beers the night before, make sure to visit them for a beer and maybe one of their great sandwiches. Post race refreshments will be available at Stoudtburg plaza, prepared by 2 professional chefs specialized in german food and pastries. Post race party starts around 11:30 ( also at the plaza this year). 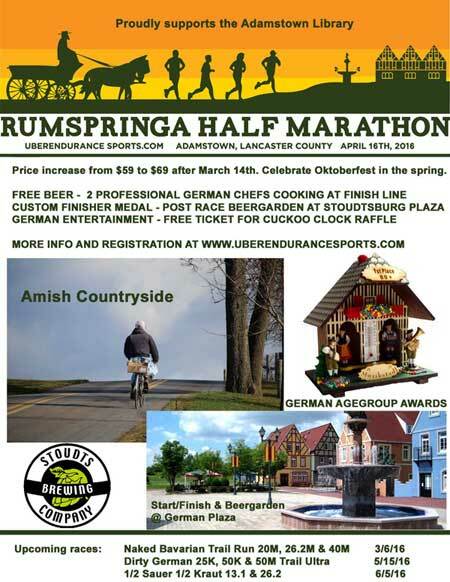 Live german music, awesome Stoudts beer, award ceremony, cuckoo clock raffle and best amish/german dressed runner award.